Every time one of your members quits, a piece of me dies. It is a relationship lost. A promise broken. Opportunity unfulfilled. It’s my mission to help you never let it happen again. I take it personally when one of your members quits. Can we ever make it stop completely? No. And, honestly, we want some churn. We need to get rid of the people who don’t fit or shouldn’t be our members. But as for the rest of them, a loss is nothing but a loss. There’s no way to sugarcoat it. And, if I don’t tolerate losing, why do you? In June, I traveled to Ireland to visit the team at Agora Integrated Marketing (AIM) in Waterford. This is the internal marketing agency for The Agora, the billion-dollar publishing company with newsletters around the world. Would you like to know what the No. 1 lesson of the event was? I’ll tell you. There were two days of speakers who taught everything from lead generation and product development to Facebook Messenger bots. 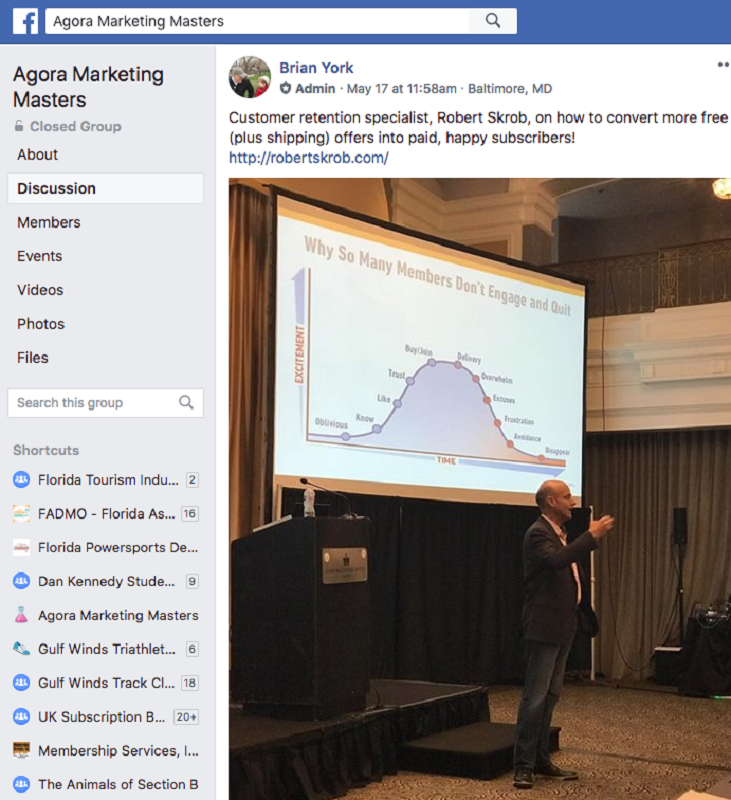 This was all the latest secrets revealed, discovered from millions of dollars of investments from hundreds of the smartest internet marketers in the world. The No. 1 lesson: New customer sales don’t matter as much as lifetime customer value. Yep, that’s right. Yes, I know — you learn that lesson each month right here within the pages of “Retention Report.” Who is going to argue with a billion-dollar subscription behemoth? Not me. In the next few pages, I’ll share what I taught and lessons learned from the AIM event. I don’t want to see any more of your members quit unnecessarily. Help me help you stop them from quitting.